Every wedding day needs a timeline! It is the holy grail of your wedding planning and day of prep. 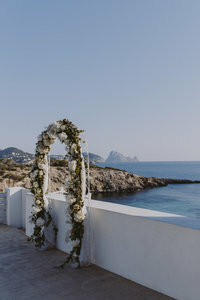 A timeline is a detailed itinerary for the day that includes wedding party getting ready and arrival details, first look, dinner, cake cutting, exit, etc. You cannot go into a wedding without a timeline! You will feel overwhelmed, confused and rushed because there needs to be direction throughout the day. This blog will help you prepare and create your very own timeline for your wedding! Remember we also have a full Wedding Day Timeline blog that you can customize to suit your particular day. 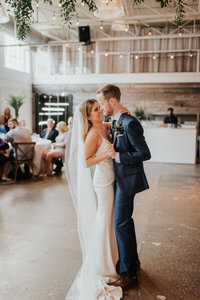 A wedding timeline is another reason having a wedding planner is necessary because they will help you execute and stay on your timeline from start to finish. As a bride, you will likely be busy and not paying attention to the time throughout the day. 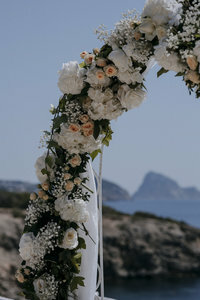 Your wedding planner can help direct your wedding day so you can simply enjoy it! Timelines may not be followed exactly, but this effective organizational and time management tool can help you and vendors understand what the day will look like. 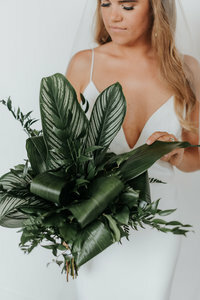 Don’t copy EXACTLY another wedding templates from a friend’s wedding or internet template. Your wedding is unique, and you may have different ideas to include on your wedding day. Use a template to guide you but make sure to customize it based on your wedding day schedule. For example, wedding templates can look much different if you don’t have a first look versus if you do have a first look. Make a list of all the events: including getting ready, first look, family pictures, cocktail hour, first song, etc. This will assure not leaving anything out! One event that is always at a particular and set time, the first major event of the day, is your ceremony! This should be the first event you schedule and you will schedule everything else around this time! Keep in mind your ceremony time should be appropriate time for your guests, venue, and eating time! For the people having hair and makeup done, know that your wedding day will start early. Most brides are unable to sleep in anyways on their wedding day because of the butterflies! But you need to have your bridesmaids prepared for an earlier morning. Most wedding parties will begin hair and makeup around 9 am or earlier. You will need to get a head count on how many people need their hair and makeup done. Then you need to speak with your hair stylist and makeup artist to see how long they will need to complete everyones final look. The bride will be very last of course in order to ensure her make up and hair lasts the longest and gets the most care! The bride’s makeup typically takes 60-90 minutes as well as her hair. 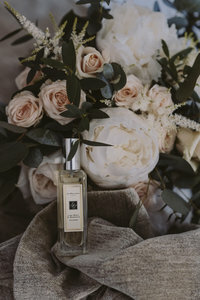 It does depends on what a bride chooses for each of these services, but you want to give the bride efficient time to make sure she’s happy and glowing! able to tell you how much time they need to have before the ceremony. For example, if your ceremony begins at 5:00 PM your photographer may want two hours before your ceremony. Then you will need to tell your makeup artist and hair stylist you need to be ready by 3:00 PM. Give everyone in and a part of your wedding day a timeline! Paper timelines can be given out at the rehearsal and your wedding planner can run through the details with everyone present. This timeline should map out every hour of your day! Your wedding planner will ultimately make sure people are in place, but everyone needs to be aware of these times as well. « What Do I Do if My Vendor is Not Responding To My Emails?